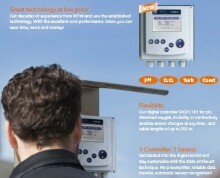 With the system 181 WTW now offers a cost-effective alternative to analoge systems. 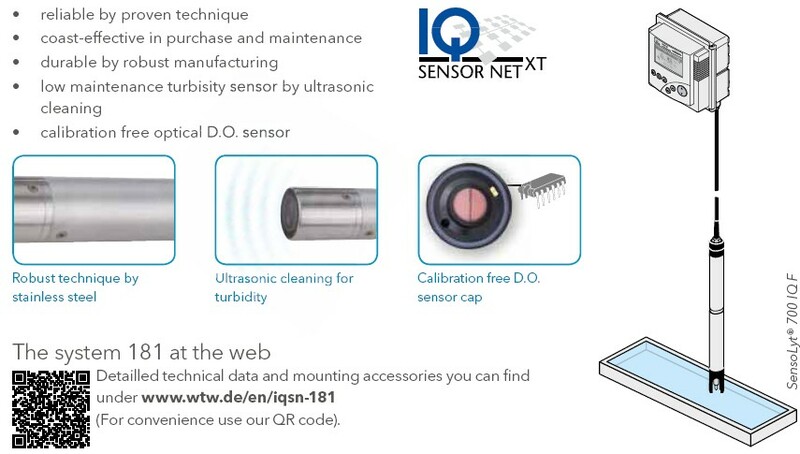 For the parameters pH/ORP, conductivity, oxygen or turbidity the new IQ-sensors with fixed cable are available. Thus, you get the established and proven WTW technology for low costs. Besides the power supply through a wide range mains converter (100-240 VAC) or 24 V, 2 current outputs and 3 relays are available. Click the button below to add the Controller / Transmitter 181 to your wish list.